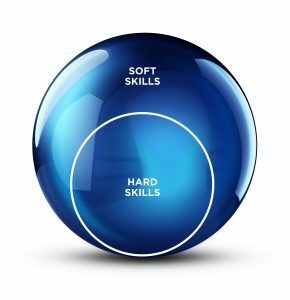 Aren’t the “Soft Skills” the “Hard Skills”? | The Secretan Center, Inc.
Aren’t the “Soft Skills” the “Hard Skills”? I wonder why we call the easy stuff—like technical skills, professional mastery and STEM subjects—the “hard skills” and the really difficult stuff—like inspiring other people and leadership—the “soft skills”. This seems upside down to me—the “soft skills” are the really hard ones. Although this is a statement of the obvious, we still seem to have great difficulty wrapping our heads around the idea that the most important work for all of us as leaders is to learn and master empathy, communication, inspiration, love, listening, compassion, culture-building, and many more, so that we can model these and teach them to others? Those who have already figured this out have stopped chasing their tails and are building great organizations, communities, families and nations. Have you committed to investing in “soft skills” just as much as you invest in the “hard skills”? This short quiz might help you to answer that question. In South Africa if someone greets you saying: “Sawa bona,” (“I see you”), you reply: “Sikhona” (“I am here”). We are living in a time of conflict, confrontation, confusion, change and transition — a “Chaordic Age” (Chaos + Order). We need courage and heart to harness such energy and creatively transform it. We can do it. If it’s to be, it’s up to we. Nature’s view of conflict is not pejorative — it uses conflictual opposition as a force for change and transformation (The Grand Canyon is an example). Conflict is not by nature negative, it just is. When conducting Leadership Trainings on the “Utilization of Conflict”, I include demonstrations of the martial art of “Akido” (physically & verbally), illustrating that the best aim of self-defense is to neutralize the attacker’s dysfunction and aggression, without causing unnecessary injury when possible, and of increasing the potential for more effective interpersonal communication/relationship. The word “akido”, translated literally, means “The way of blending energy”. All of life is essentially energy with which we can dance. Attacks, in this shift of perspective, can be acknowledged and honored as energy given, received, neutralized, instead of automatically, knee-jerk-like resisting and opposing them as “enemy” to be eliminated. Akido “accepts” and redirects the flow of energy instead of being pushed around by it. Sensitivity and timing are important and the ability to “dance” and blend keeps one’s response resilient and flexible, maximizing one’s position for neutralizing the harmful qualities of an attack. It enhances the possibility for bringing Life back into relationship and learning how to flow and grow with each other’s energy. One example is in using “I-statements” of empathic acknowledgement instead of getting caught up defensively in another’s underlying swirl of feelings such as anger, hurt, or unexpressed sadness (possibly being sublimated in the attack). I’m not saying it’s easy in a relationship filled with real tension and hostility. Such requires calmness and ability to let go of one’s egoic need to fight back and be right. Such involves emotional intelligence, awareness, relaxing, centering and flexibility. Such takes intentionality, sincerity, mindfulness, practice and commitment to transforming a relationship from contest and win/lose to something much more mutually productive, satisfying and fulfilling. We can be on-the-grow and in-the-flow as we learn how to unhook from our rigid assumptions and belief systems, through which we filter and interpret our perceptions. We have the co-creative power to potentially change our opponents into partners. An artist uses pressure, force, tension, strength and the unknown to sculpt a masterpiece of art. Perceiving conflict and crisis as an opportunity to create art from our own being from our relationships is an ongoing challenge for the artist within each and all of us. We are each be-ings and be-comings of divine-human co-creation. Wonderfully insightful and thoughtful comments Ron. Thank you so much.